First things first, you need to tell your potential followers who you are and give them a reason to follow you. If not, you will look like a stalker or a robot. Start by choosing a username that is recognizable and searchable - like your business name. Secondly, write a short bio about your business. You can also include a link to your online store. Thirdly, upload a nice profile photo designed for branding. Your business logo would work well here. Create your own style and make sure there is some sort of harmony between all images. It can be a black and white theme, pictures from a certain angle theme, clean product photo theme, and so on. Everyone on Instagram gets excited when they get likes on their photos. Unless you have thousands of followers then you just don't care anymore. But a majority is still in the "not a lot" category. Like people's photos and they will start looking at your profile and follow you. People get excited over likes but they get even more excited when they see someone has commented on their photos. This won't make just the user notice you, but their followers will also see your comment. Remember to make the comment relevant to the photo. Don't post this kind of comments. It makes you look like spam. You don't have to post too often. Find the best time to upload a post and keep posting regularly. Your followers will not forget you and won't be annoyed. Instagram may not have a "share" button but you can find apps that help you with this. Don't forget to give the original uploader credits by mentioning them. People love free stuff. Get people to share your post or mention their friends in return for free gifts. You can give away a free sample of your product. Not only will that get you followers, but you can also promote your product at the same time. Start engagements by creating question posts. Make it fun. Other people will want to join in on the fun too. A big and important part of Instagram is the #hashtag. Add relevant and popular Hashtags into your captions. Try and get creative like using Hashtags to #craft your sentence. You can share your Instagram post to your Facebook timeline or simply ask your friends to follow. Try to think of the behaviour of your target audience. What time are they most likely to be scrolling through their Instagram? You may not find the exact answer but you can keep testing different time of day and see which one have the most engagement. Just because you are selling online doesn't mean your profile should only be filled with boring product photos. Bring your products to different environments and use filters to spice up your photos. 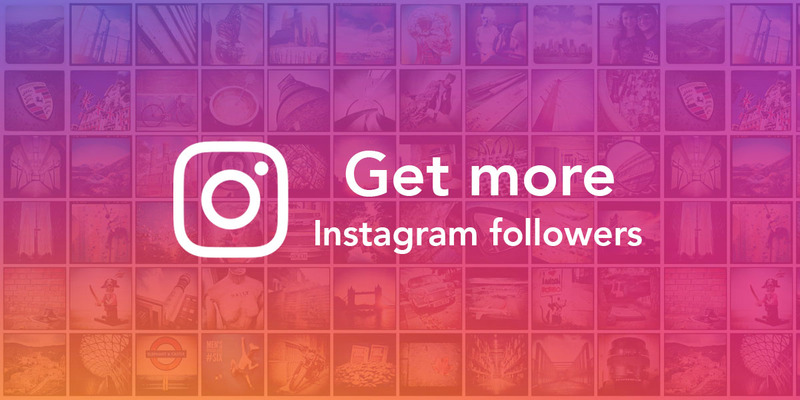 People on Instagram are always looking for ways to get more exposure. You can give them a shoutout on your profile and ask them for a shoutout in return. By doing this, you can get exposure from a new group of people. #15 Turn off "Private Account"
Make sure your profile is public. To make your profile public, open Instagram, open "Options," and make sure "Private Account" is turned off. Look for accounts that have a large following and provide review services. Before you start paying for the review, make sure their followers are your target audience. And don't forget to send them your products so they can take a picture with it. We are busy people. We don't have much time to spend on Instagram. That is where automation tools come in. You can use tools like Hootsuite to create posts in advance and schedule a month's worth of posts. You can also use tools like Instagress that automatically follow and favorite Instagram users and posts based on geography and hashtags. Grow your following effortlessly in the background. This is an extension of #14. Instead of just doing a shoutout once, make it an ongoing thing with your partners. An example is you can mention your partners at the bottom of every caption of your posts. Look for partners that adds value to your account and also benefit your followers. Design a car sticker that tells people to follow your Instagram account and print it out as a car sticker. You can do this at your local print shop. Place the sticker on the back of your car. When you drive around, people will see your username and follow you (on Instagram). You can also print out extra and give them to family and friends. Instagram ads is an extension of Facebook Ads. In ads manager, you have the option to have your ads shown on Instagram. But you will need to sync your account first and the ads must be using square image. By doing this, you can get more exposure from a targeted audience. Let's give these 21 things a shot. If you haven't yet, create an account and start posting, testing, tweaking, and promoting your account.